I'm back in Maryland for a work event (tomorrow), and scheduled a bit of fun while I am here. Today I had the pleasure of hanging out at my favorite bead store, Bead Soup, and shooting the breeze with Bead Soup's owner, Kathy, and fellow blogger & friend Maryanne (Zingala's Workshop). These ladies are fantastic and I'm glad to know them! 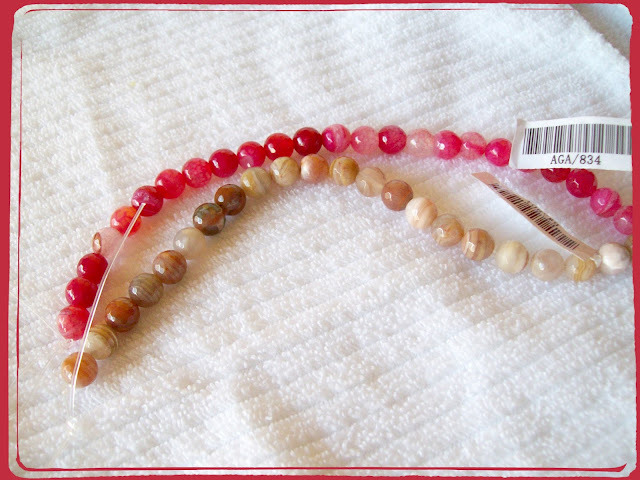 Kathy currently has a trunk show in the store of gorgeous semi-precious stones...some of which I couldn't resist! 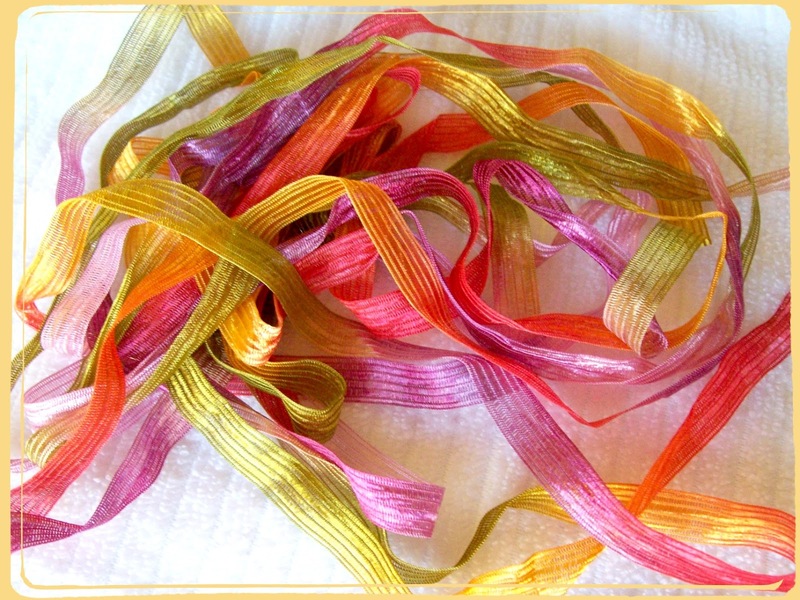 And in keeping with my new obsession to incorporate my work with fiber, I picked up a few yards of this scrumptious ribbon. I cannot wait to play with this and I already have a few things in mind!! Here is a free pattern for Friday! More of these patterns (measuring 1.5x1.5 inches), are on the "free pattern page" as well! Love the beads and i have a big spool of that exact ribbon. Not sure what to do with it yet but it's pretty!! Oooh the beads, oooh the ribbon, very pretty. Have fun! 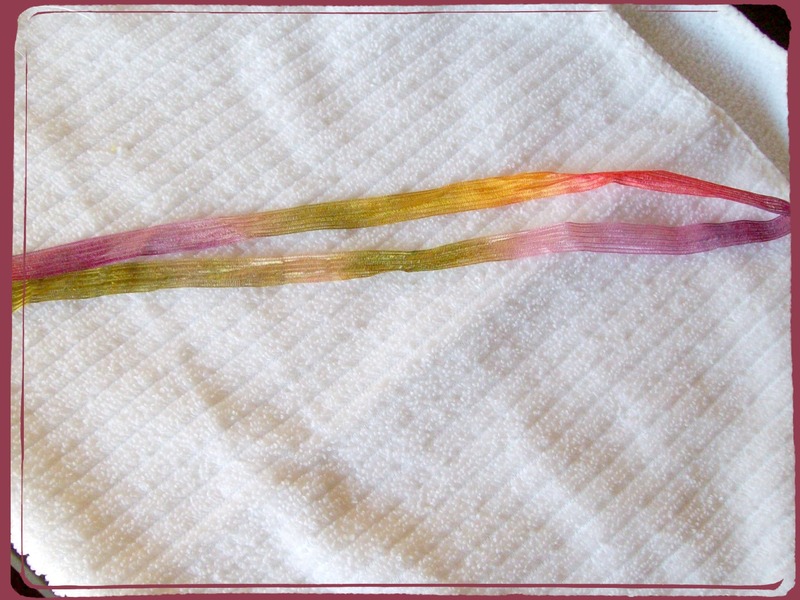 Oh what fun you must have had at Bead Soup. I love the gemstones and the ribbon. 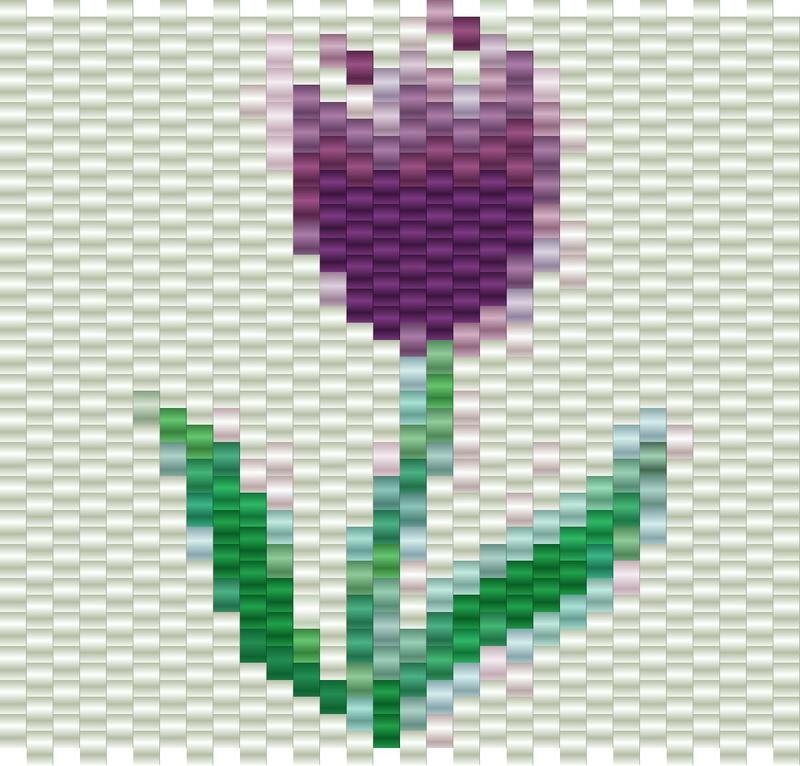 That is a cute little tulip pattern.